Totally Bamboo 5-Piece Utensil Set Just $5.99 + FREE Shipping! 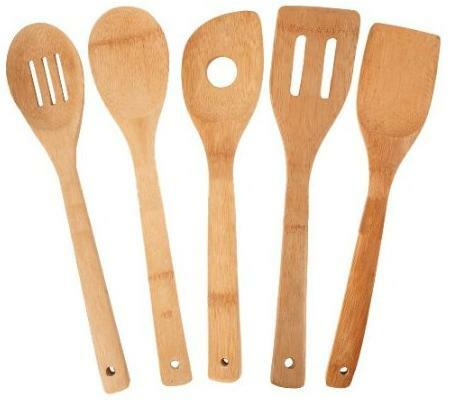 You are here: Home / Great Deals / Amazon Deals / Totally Bamboo 5-Piece Utensil Set Just $5.99 + FREE Shipping! Looking for a nice wedding gift or need a new set of utensils for your own kitchen? Head over to Amazon where you can get a Totally Bamboo 5-Piece Utensil Set for just $5.99 (reg. $24.99)! Plus, you’ll get FREE Super Saver Shipping on orders over $35.